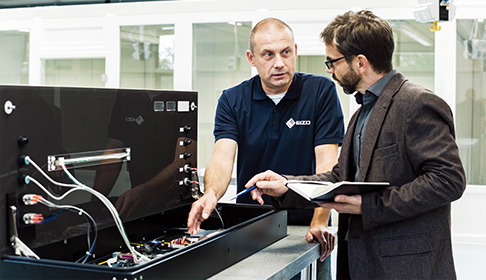 With over 45 years of technical expertise EIZO is dedicated to developing innovative and high-quality visual display solutions. Our integrated approach entails developng, manufacturing, and quality control testing our products in house. Here we introduce some of these processes. Our unique technological capability born from many years of experience in research and development of monitors enables us to offer added value, high-quality products. The PCB is the cornerstone of a monitor. 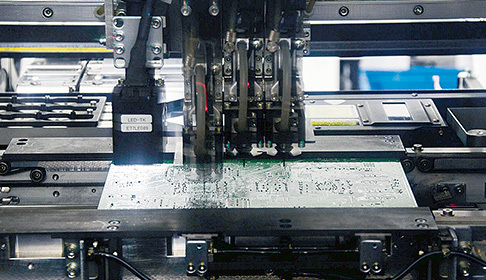 We design and manufacture our own PCBs to ensure quality control through the thorough pursuit of safety and reliability. 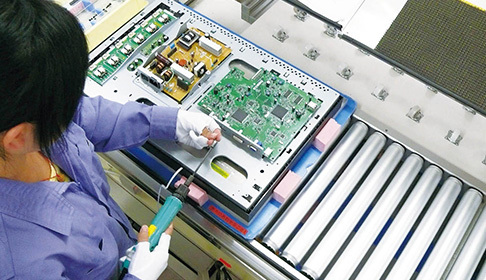 Our 100% in-house manufacturing ensures high-quality products. We combine manual and automated production for maximum efficiency. 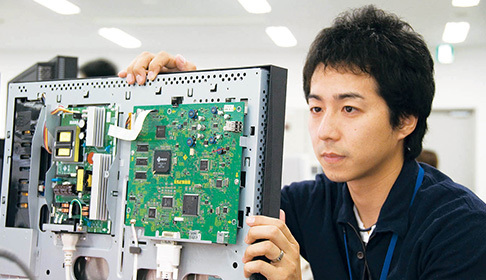 Each monitor is inspected individually by the human eye to ensure they meet our standards. 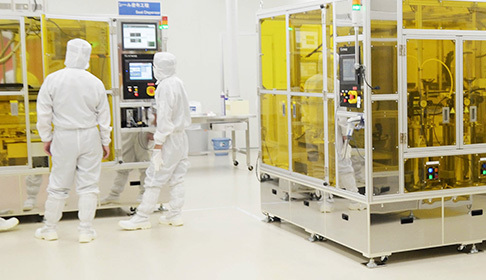 A dust-proof clean area with air filtration and circulation allows for production of touch screens and medical products with protection glass. 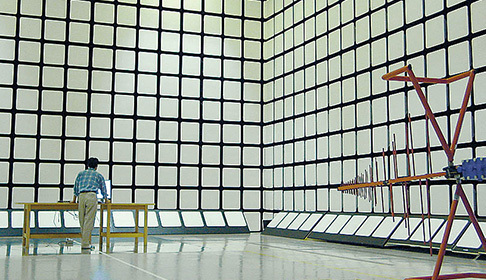 We have our own anechoic chambers to confirm that our products comply with international regulations covering electromagnetic interference (EMI) and susceptibility. We also conduct long-life resting where our monitors are kept powered on for thousands of hours and their image quality is checked regularly. We offer extensive customization for select monitors to meet the diverse requirements of various markets including mission-critical fields such as maritime and air traffic control.